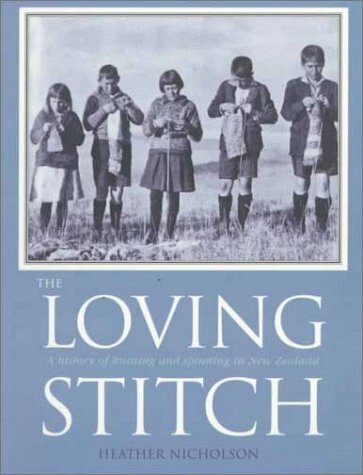 Given my passion for vintage knitting patterns, my Kiwi mother-in-law recommended I check out the book The Loving Stitch : A history of knitting and spinning in New Zealand by Heather Nicholson. It traces the history of yarn crafts here from the times of the earliest European settlers in the 1800s up to when it was published in 1999. 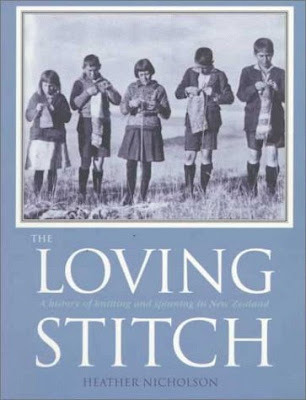 I think it's wonderful that there is this resource that chronicles a part of cultural history that is not often researched - the domestic arts.